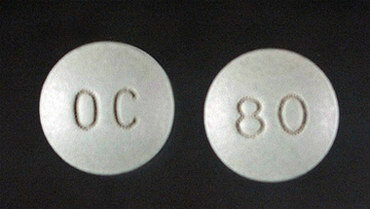 “Oxycontin” is getting more and more popular among the drug addicts and begins to make a serious competition to heroin. First of all – because of the price. 10-20 milligrams of heroin can be bought for $10-25, the pill of oxycontin costs from 50 cents to $1. By the way, we may not only swallow the pills, but also to pound and inhale – like cocaine. We can also dissolve them or do injections. As well as all drugs, oxycontin treats nothing. Every day you take anesthetizing for diminishing a pain bit by bit increasing a dose. And one day you will see that you can’t already live without these drugs.